Our clients know they can trust our Executive protection and security travel services. Eyes for Justice Investigations are a leader in providing comprehensive professional Executive Protection & Security solutions for corporations and VIP clients in the Tampa Bay area and throughout Florida. Our company provides the optimal, hassle-free environment for customers that need to focus on their business or leisure objectives. 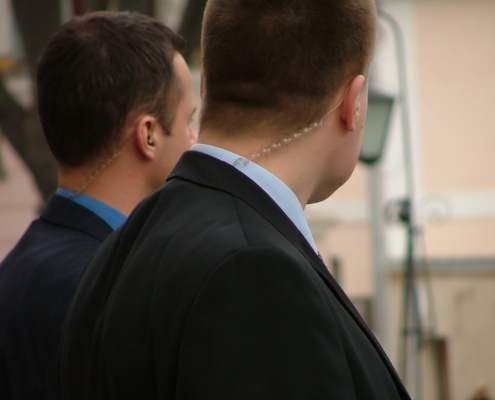 Our expert Executive Protection services are designed to maximize our client’s efficiency. We provide convenient and top notch security and protection detail for our client’s in whatever the occasion or event may be. A client-tailored made executive protection service offering peace-of-mind for corporations’ executives and VIP clients; organized and well-planned trips; easy and quick passage from place to place; and effective time utilization – in order to optimize trip objectives. Eyes for Justice Investigations offer protection services which enable our trained professionals to provide the security and peace of mind that our clients expect and need. Our operations are supported by an administrative team and hands-on executive protection agents; which enable us to always be at the ready for any situation that may arise. Our clients know they can trust our Executive protection and security travel services.